'Star Wars: The Last Jedi' Trailer Reflections – AiPT! SPOILER ALERT! This is a reflection of the trailer and thus it will contain images and several hypotheses on the film. Stop reading now if you don’t want to know anything about this movie until you see it. 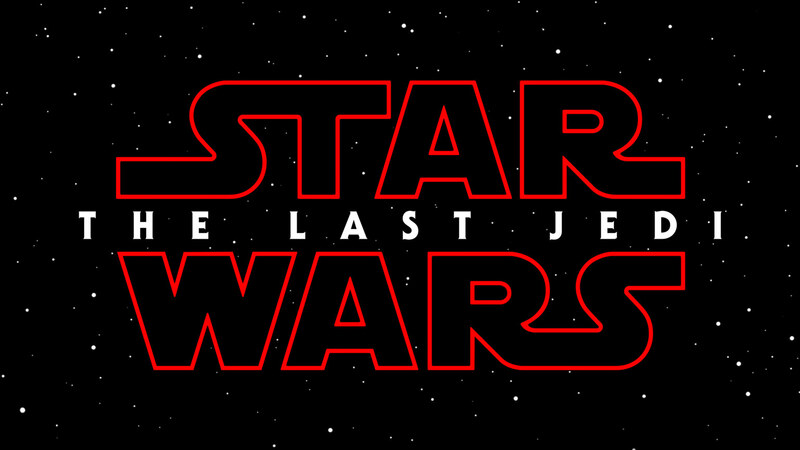 The trailer for the eighth installment of the main Star Wars saga, Star Wars: The Last Jedi is finally here! Below we’ll break down the trailer and dig into the video that has raised more questions than answers. After the destruction of Star Killer Base I’m expecting the First Order to come out swinging. Poe Dameron and BB-8 are running through a ship hangar towards his X-Wing when suddenly there’s a massive explosion. My guess is this is the First Order attacking the Resistance to obtain the map to Luke’s location. Another shot we see that leads me to this conclusion is Captain Phasma emerging from smoke and fire in an unknown location. It’s my belief that this is the same battle that Poe’s involved in and Phasma has boarded a Resistance ship to personally capture the map. I can’t say with certainty, but I’m nearly positive this trailer gives us our second official sighting of First Order AT-AT walkers. We see a new type of ship zooming along the surface of a desert trailing red smoke with what appears to be the new Walkers in the distance. There’s a space battle occurring with X-Wings, A-Wings (excited to see these back), TIEs and larger Resistance ships that are very similar to the Nebulon-B frigates that were used by the Rebel Alliance. The planet we briefly catch a glimpse of looks like it could be a water world. This very well could be Ahch-To, the planet Rey found Luke on. Kylo Ren makes one very quick appearance in which he’s holding his signature cross-guard lightsaber. The scar he obtained in his duel with Rey is barely visible. I’m thinking there’s a good chance Rey and Kylo have parallel paths in this film. While Rey is training with Luke, I’m guessing Kylo will be completing his training under Snoke and this is where this scene comes from. We’re also shown a shot of Kylo Ren’s iconic helmet mask in which it’s utterly destroyed and smoking. I’m guessing the cause behind the destruction is one of Ren’s famous temper tantrums. Or perhaps a more symbolic reason, such as the completion of his Sith training under Supreme Leader Snoke. The trailer opens with Rey covered in sweat, looking bewildered and very clearly exhausted. The most obvious guess for her current state is Jedi training with Luke. As the trailer progresses we see Rey involved in lightsaber training, tapping into the Force to move rocks and a Force vision. But the more I thought about it, the more I started to think that was a little too easy of an answer. In The Force Awakens Rey has a Force vision and her reaction is almost dead on to what we see here: exhaustion, out of breath and bewilderment. I wonder if this scene is the aftermath of the Force vision we hear Luke walking Rey through as the trailer progresses? Which leads me directly to my next point, Rey’s Force vision. As I listened to Luke guide Rey through her vision by reaching out with the Force, I couldn’t help but be reminded of Luke and Yoda’s training scene on Dagobah. Queue goosebumps. Now to break down the vision. We hear Luke asking Rey what she sees, to which she responds “Light” and we’re shown General Leia looking over a map of the galaxy. If you turn your volume up you can very faintly hear a whispered “Help me Obi-Wan”. Next, we see Kylo Ren’s destroyed mask to which Rey states “Darkness”. If you turn your volume up you can very faintly hear Vader’s iconic breathing and him saying “dark side”. The last part of the vision has Rey stating “The Balance” as a slow zoom onto a bookshelf in a cave occurs. Again turning up your volume allows you to hear a whisper–this time it’s Yoda saying “You will be”. This scene is arguably the most exciting part of the trailer for me. It shows books containing the old Jedi Order symbol and what appears to be text or a map of some kind. Someone is slowly running their gloved hand across the book. Luke and Kylo both wear gloves. Those are my two guesses. Every single person that watched this trailer is trying to figure out the same thing: what does Luke mean when he ominously states “The Jedi must end”? Personally, I’m in the camp that Luke means the traditional Jedi Order needs to evolve into something different. The old Jedi order failed under Yoda’s watch and then it failed again when Luke tried to recreate it. There’s a scene with R2-D2 and a hooded figure by burning, destroyed buildings. It’s my guess that this is a flashback to Luke arriving to his Jedi temple, after Kylo and the Knights of Ren have destroyed it and killed everyone. Another moment that really stuck out to me with Luke was “It’s so much bigger”. I think this is a revelation Luke’s had based off what’s contained in the books shown on the shelf. The Jedi Order has failed epically twice now. For the Force to be in balance and for the Jedi to survive, they need to evolve. A balance between the light and dark side of the Force has to be found. Hats off to the people who made this trailer happen. I didn’t think I could be more excited for this movie than I already was, but man was I wrong. This trailer knocked it out of the park. They didn’t spoil anything and they left me with a ton of questions. I’m not frustrated by anything I saw or heard; I’m just so damn excited. Will Rey build her own lightsaber? Does Luke still have his green lightsaber still and will we see him use it? If the Jedi have to end, then what will Rey become? December 15th can’t get here soon enough.